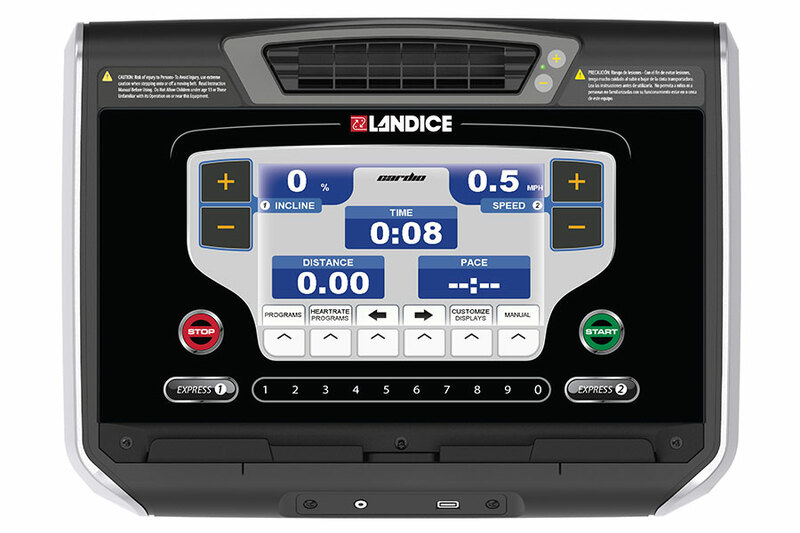 Landice L-Series Treadmills are available with your choice of three treadmill control panels, ensuring you get the features, programs and displays that fit you like your favorite pair of running shoes. 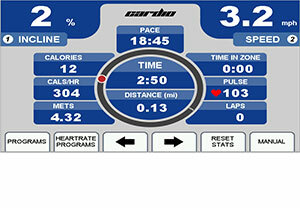 View multiple colorful, motivational screens with customizable exercise statistics to energize your workout. 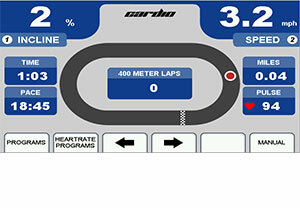 The Cardio Control Panel combines a versatile liquid crystal display (LCD) with a variety of program options, numeric keypad for quick data entry and multiple heart-rate control programs. 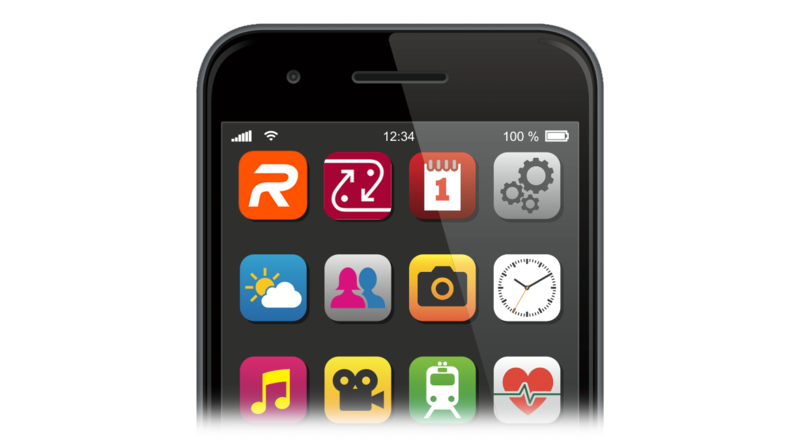 Ideal for precision interval training to lower your 10K time, and it’s equally terrific for just starting out on a walking program or easy jog. 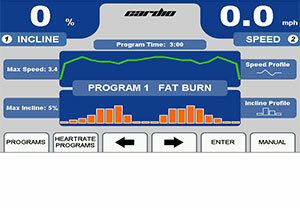 The Cardio Control panel features a 9" color LCD, easy-to-read, motivational displays. 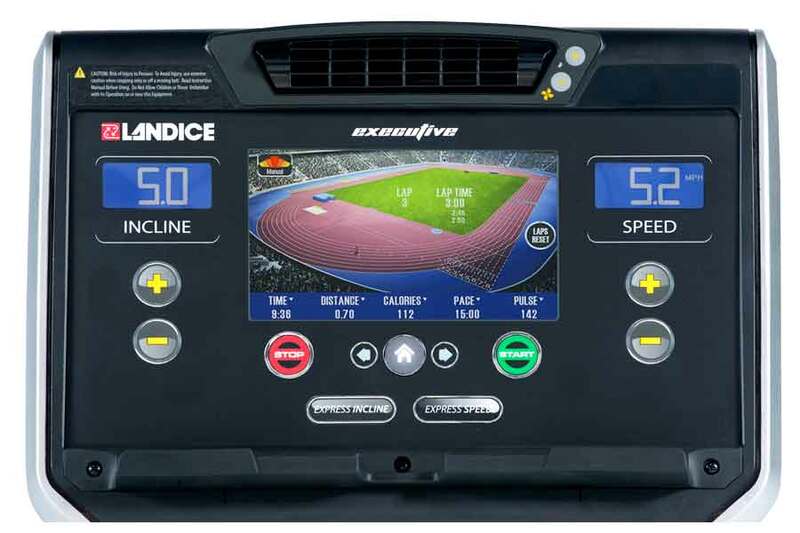 This console comes equipped with interactive heart rate control, Bluetooth and two client profiles so you can keep track of your workout statistics. 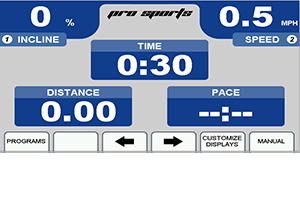 The Pro Sports Control Panel combines a versatile full-color display (LCD) with a variety of program options, numeric keypad for quick data entry and a contact heart-rate monitor. 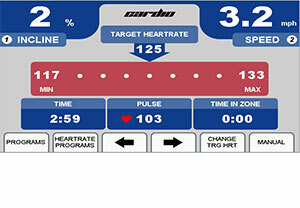 These features offer an exciting and fun workout so you can reach your fitness goals. 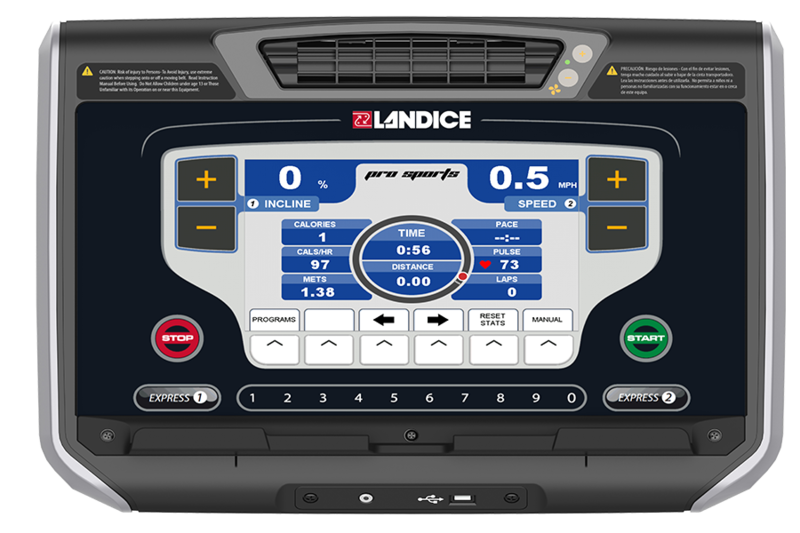 The Pro Sports panel features a 9" color LCD. 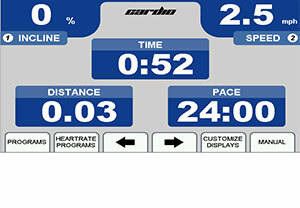 This easy-to-read display offer several motivational displays to meet your fitness needs.